Mission Flight Services, part of the CMML Mission in Zambia, Africa, is situated in the northwestern province of Zambia. This faith ministry is based at Kalene, where a Mission Hospital is located. We fly to and from destinations all over Zambia, providing critical transportation to remote areas. We are the second largest mission and health care provider in Zambia, located in rural areas of the North Western, Luapula and Copperbelt Provinces. It is linked internationally to non-denominational assemblies of Christian brethren throughout the world. In Zambia we have over 1000 local assemblies, both rural and urban. 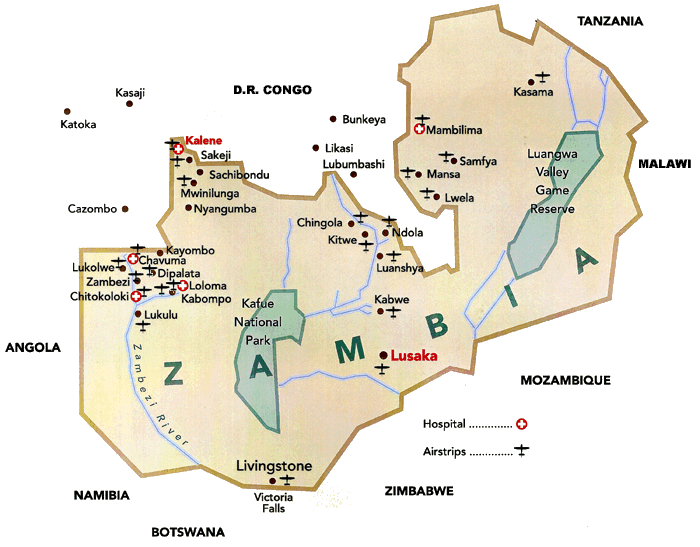 The assemblies in Zambia are registered with the Government as “CMML” or “Christian Brethren”. Our rural activities as a Mission are based at 13 centers, most of which include a hospital or Rural Health Center, and Bible teaching. We are fully committed to medical work and currently run 5 hospitals, 2 rural health centers and many small clinics, in full co-operation with the Ministry of Health. We also accept the responsibility for educational and primary health care activities. A major commitment is being carried out in the field of AIDS counseling, education and awareness in addition to treatment. A large mission press at Musenga (near Chingola) prints Christian literature and books in twenty-five languages for South/Central Africa. The training of leaders for our many local assemblies is carried out in all mission centers, but particularly at two residential Bible Schools, one of which is a trade skills training center. Sakeji Mission School was started for assembly missionary children. It provides a high quality, boarding, primary level education for children, including expatriates and Zambians. Mambilima mission has one of the few boarding schools in the country for physically handicapped children.